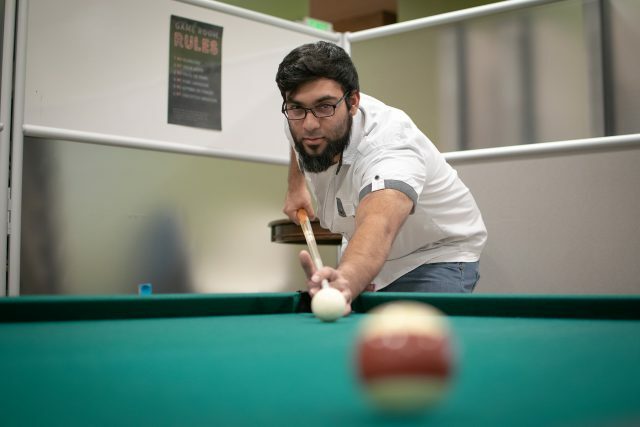 NE student Qaarder Rahman lines up his shot in a game of billiards in the game room of the NSTU building. 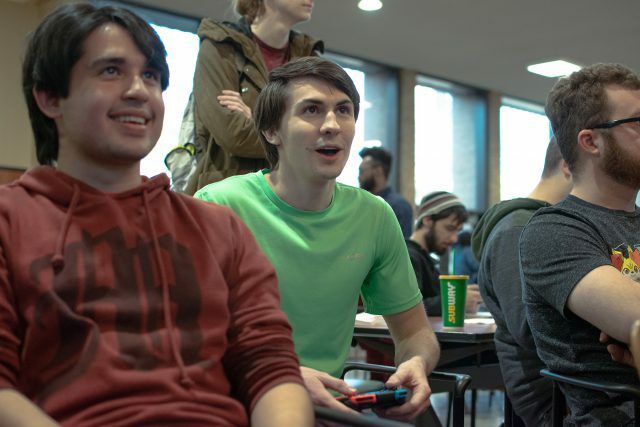 NE students Marliz Lopez and Bryn-Rhys Banks play Super Smash Bros. Ultimate for the Nintendo Switch in the NSTU building. Televisions are available for students to plug in any console they want to play with.